The What: Community has unveiled three I SERIES Compact models designed to match the performance, appearance, and voicing of the larger I SERIES Point Source and Subwoofer models. 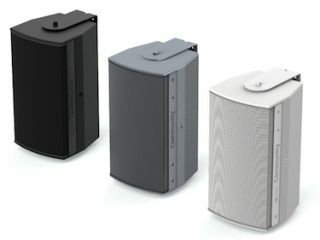 The I SERIES Compact loudspeakers complement Community’s larger I SERIES 800-Level and 600-Level models in distributed applications; front-fill or side-fill; or as the main loudspeakers in smaller spaces. The What Else: All Compact I SERIES have best-in-class LF extension, sensitivity and maximum output, ensuring high quality sound reproduction. The 6.5-inch IC6-1062 features unprecedented LF extension for its cabinet size and a wide dispersion 100 degree by 100 degree fabric dome HF on a shallow waveguide, providing a smooth response while retaining high sensitivity. The single 8-inch IC6-1082 and symmetrical dual 8-inch IC6-2082 are available with two rotatable horn patterns (120° x 60°, 90° x 60°) paired with low distortion, high output 1.7-inch diaphragm HF compression drivers. Compact I SERIES are available in textured black or white or in a custom color as one of several Configure-to-Order (CTO) options. U-Brackets, Vertical Yokes, and a 70V/100V autoformer are also available and the enclosures have mounting points for selected third party brackets. Compact I SERIES may be ordered in weather-resistant versions featuring grey PolyGlas enclosures and optional stainless-steel, powder-coated U-Brackets.